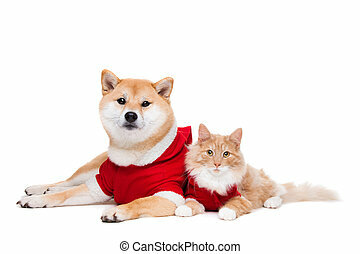 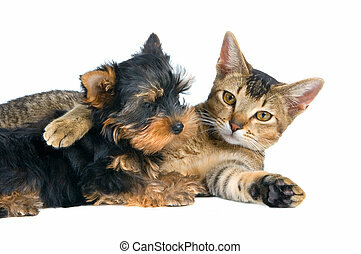 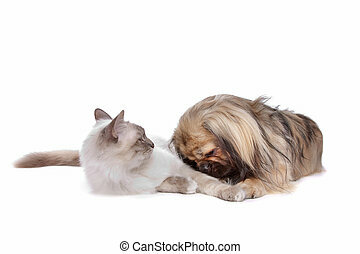 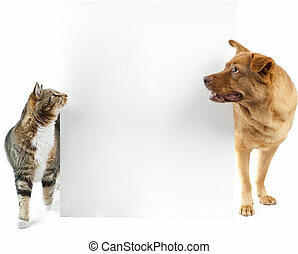 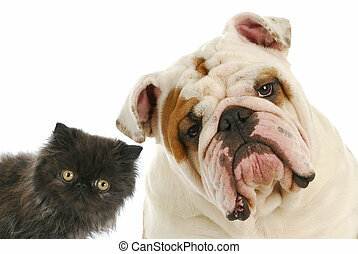 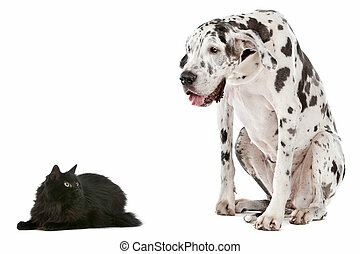 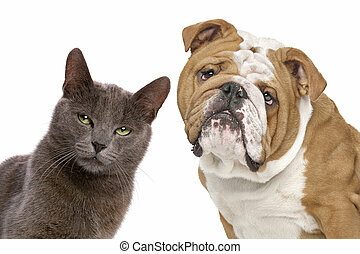 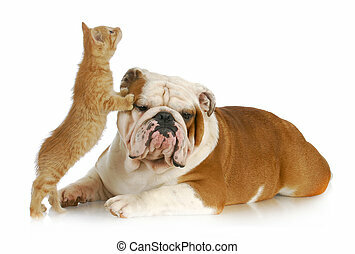 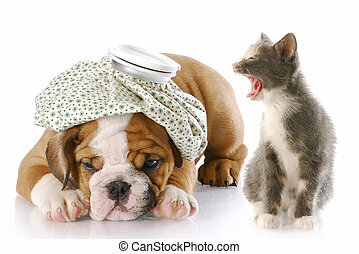 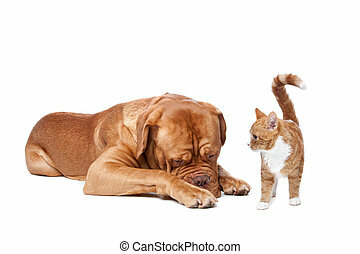 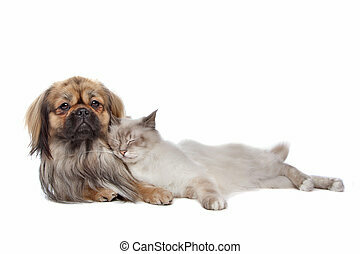 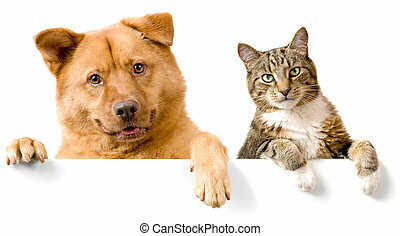 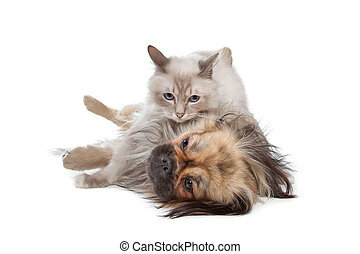 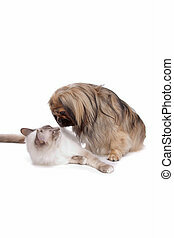 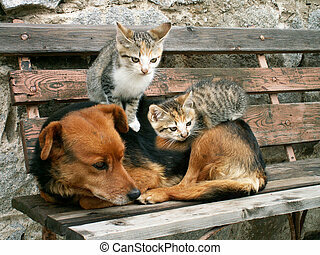 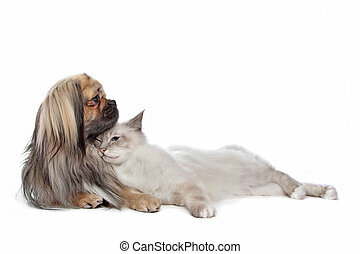 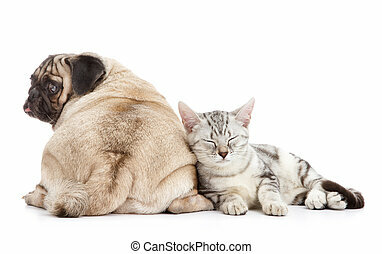 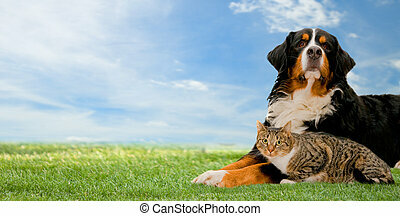 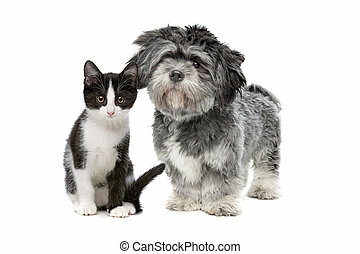 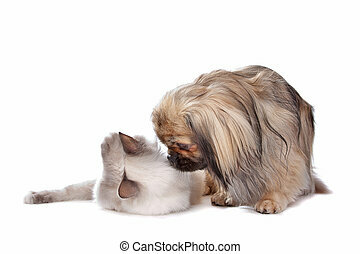 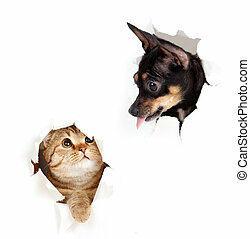 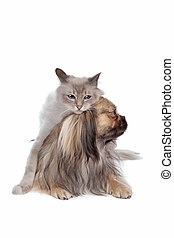 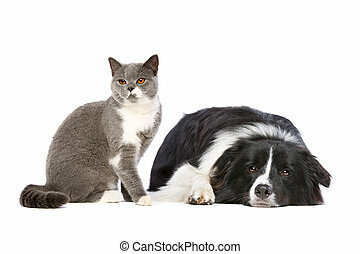 Dog and cat. 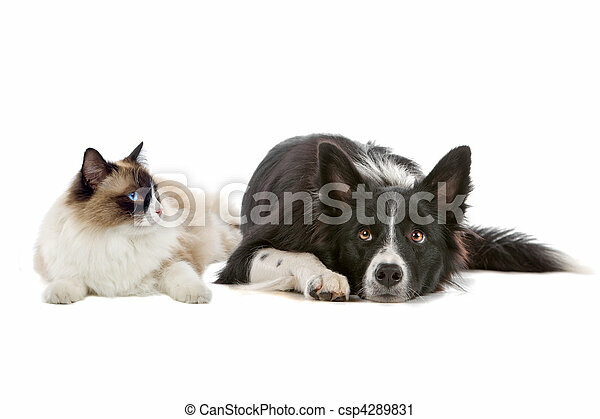 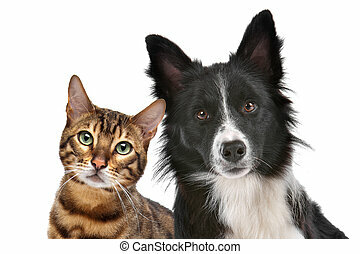 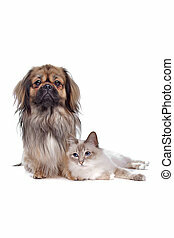 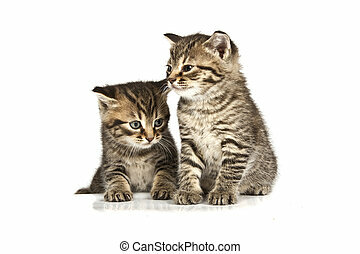 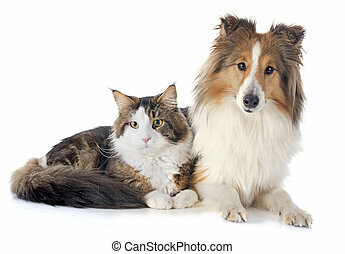 Border collie dog and a long haired cat with blue eyes isolated on a white background. 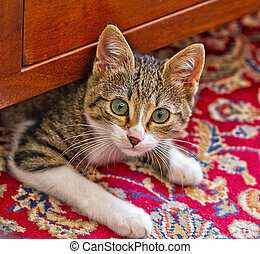 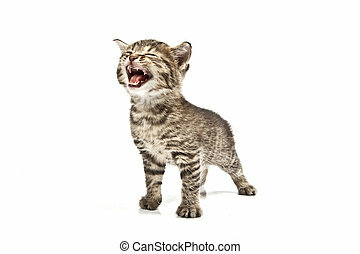 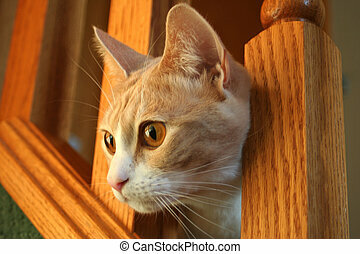 Soft Focus - an image of a cat peekin out from a stairway.